Large Damask stencil laser cut from 7.5mil mylar. Size of stencil is appr. 24 x 24 inches. 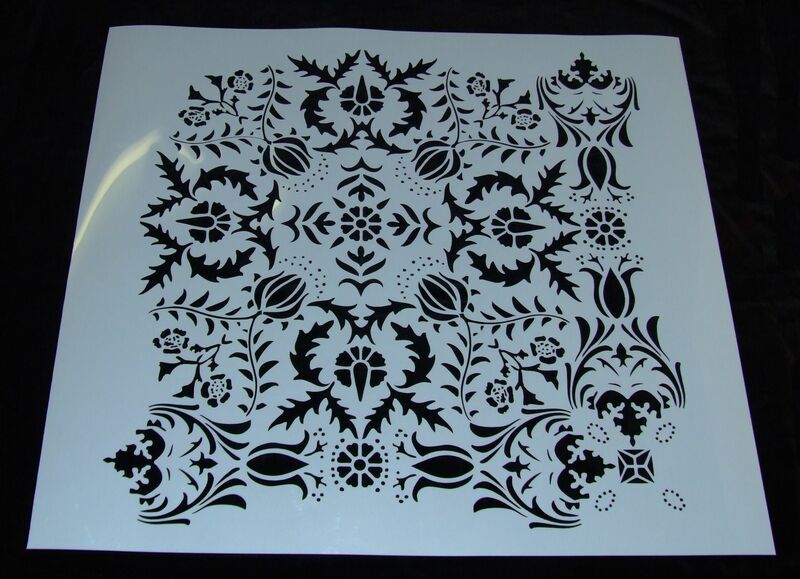 Stencil will be used for wall decoration. Stencil has repeating pattern. We would like to thank Remi, for the wonderful work that he did for us. He created a custom wall stencil based off of a very bad picture. He was able to capture all the detail and it came out great! !